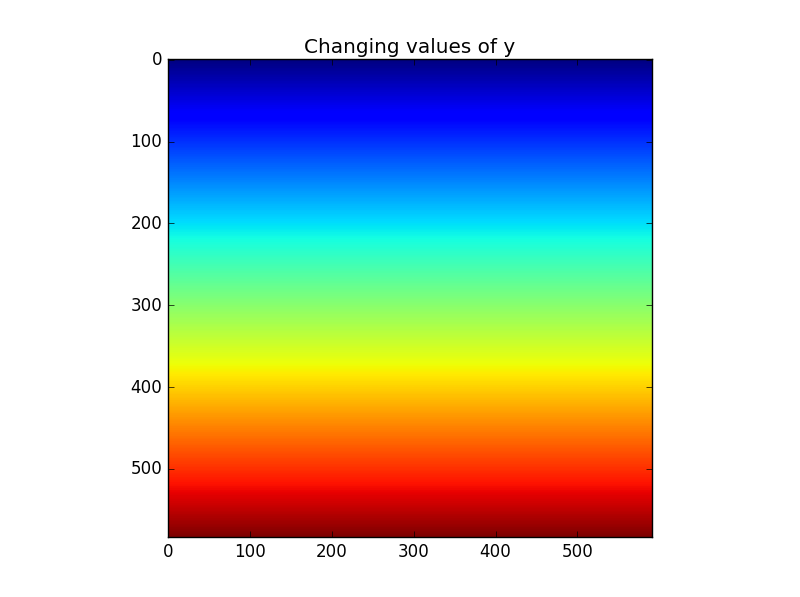 There are a number of options available for creating 3D like plots with matplotlib. 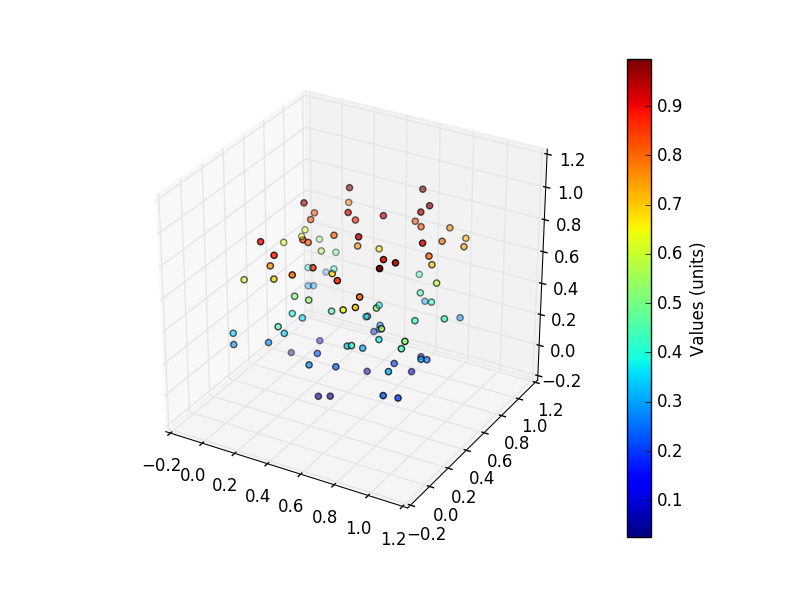 Let’s get started by first creating a 3d scatter plot. We will revisit what is meant by the 111 later on in the multiple plots section. For now, have a look at the number of options now available to you for modifying the axis object by typing ax. followed by the tab key. 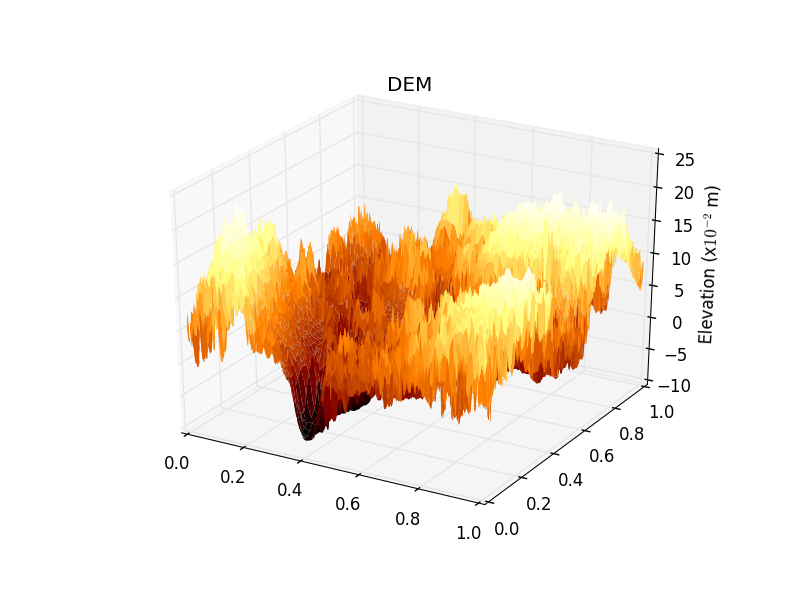 To make a 3D surface plot, we can reuse the dem we opened before (which you can save using this link). Notice that we have set an alias for each of the imports - plt for matplotlib.pyplot and Axes3D for mpl_toolkits.mplot3d. If you have a look at the documentation for mpl_toolkits.mplot3d.plot_surface (which you can access using your alias by typing Axes3D.plot_surface? 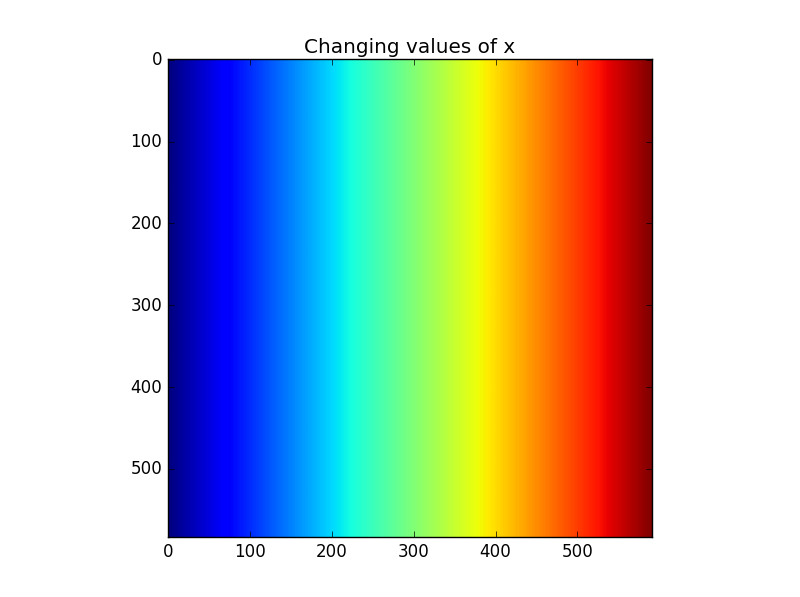 ), you will see that it takes in x, y and z values that must all be 2D arrays - the problem at the moment is that your surface array (dem) only provides the z data - you don’t have the x or y components. The above statement assigns the two values returned by the dem.shape call to the two variables nx and ny. This has created every likely element position in the x and y dimensions - remember that for a given column, the x value will remain the same (now matter how far up or down the column it is) and the same for y in the horizontal direction - if this doesn’t make sense, we’ll have an image to look at in a minute.